There have been several rainstorms lately, about every other day for the last couple weeks. Between the storms it has been sunny and warm and the storms are exciting, so we are not complaining. 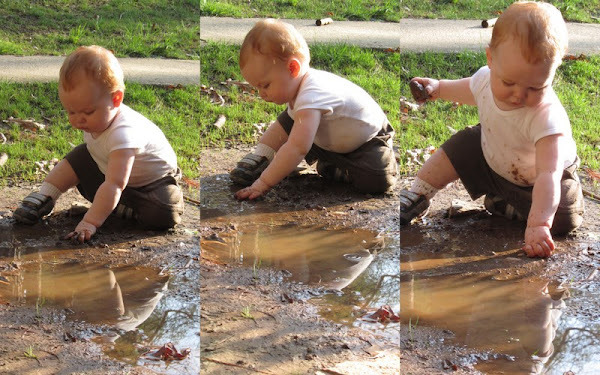 Especially since the storms leave fun puddles in their wake. I was potting up my mini herb garden last week while Charlie played outside. It wasn't long before he found a delightful muddy puddle. 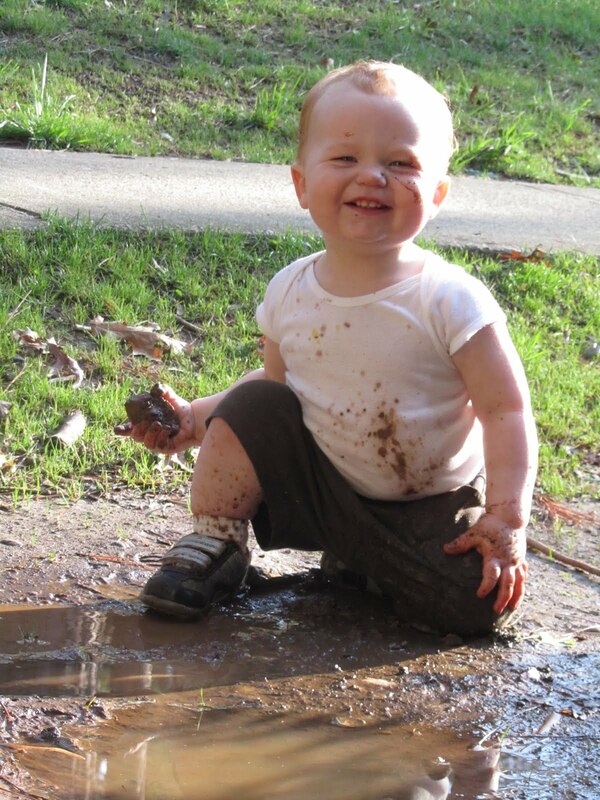 He splashed, and dug, and giggled, and splashed, and dropped rocks in it, and squished mud between his fingers, and had a grand ol' time. And as you can guess it was then off to the bath tub where he splashed and giggled some more. He is getting so big. 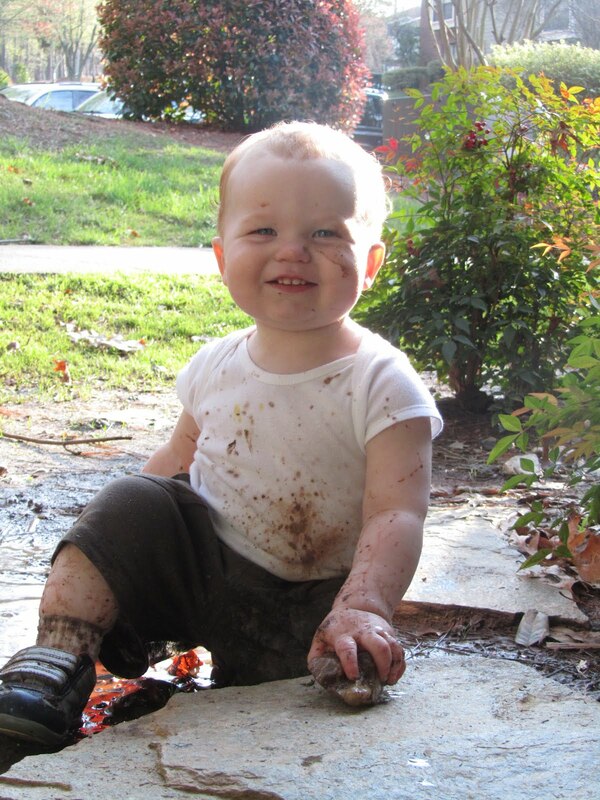 And what a fun mom you are letting him play in the mud. Great to have a mom that thinks playing in the mud is fun!